Student participation is strongly encouraged. The Byrd Polar & Climate Research Center is pleased to announce the inaugural Byrd Center Symposium: Climate Change Research at Ohio State. The Symposium will gather all of the climate research here at OSU under one roof for a day in order to increase visibility of your research on campus and to help you connect with other OSU climate researchers. The Symposium will span the gamut of all climate, physical drivers of climate and the response of water and energy cycles, the impact of climate change, ways of thinking and talking about climate, and everything in between. We have been overwhelmed with interest. As a result, we have exceeded our auditorium’s seating capacity. We are working hard to make sure that everyone has a chance to participate. Seating in our auditorium will be available on a first come, first serve basis. Additional seating will be available in the Byrd Center Learning Center and Goldthwait Polar Library (both in Scott Hall) to view a live-stream of the speaker sessions. Laptop charging will be available in these two spaces. 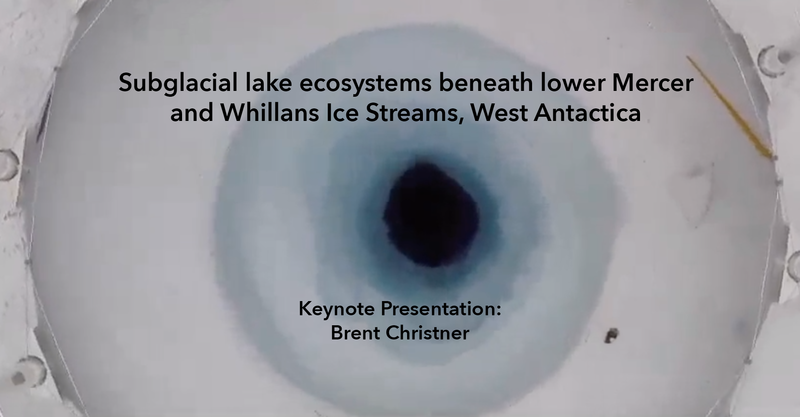 We will be live-streaming the speaker sessions, including the keynote presentation by Brent Christner. The Speaker Presentations will be available to live-stream at: https://byrd.osu.edu/symposium/live-stream. Navigate to slido.com and type in the event code: #5006. Mobile users can download the Sli.do app, and use event code: #5006. Click or copy the event url into a web browser: https://app2.sli.do/event/jhi65isb. Maximum size is 4' x 3' (do not feel obliged to print at this size if you have enough space on a smaller poster). Participants are encouraged to repurpose a poster from a previous conference, if they have one, rather than create a new one. The symposium is designed to spark conversation between disciplines, so try to ensure that your poster does not just speak to specialists in your field but also invites discussions with potential collaborators. Poster setup will take place the morning of the Symposium, from 8:00 – 9:00am, on Friday, March 22. When you check-in, you will be given a poster number, and set-up details.